CT-ART. 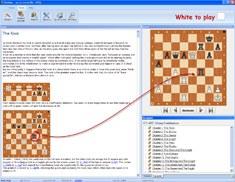 Mating Combinations is a perfect chess training tool for practicing mate combinations. The theorerical part is given under the iBook section of the program - in the form of an interactive book. 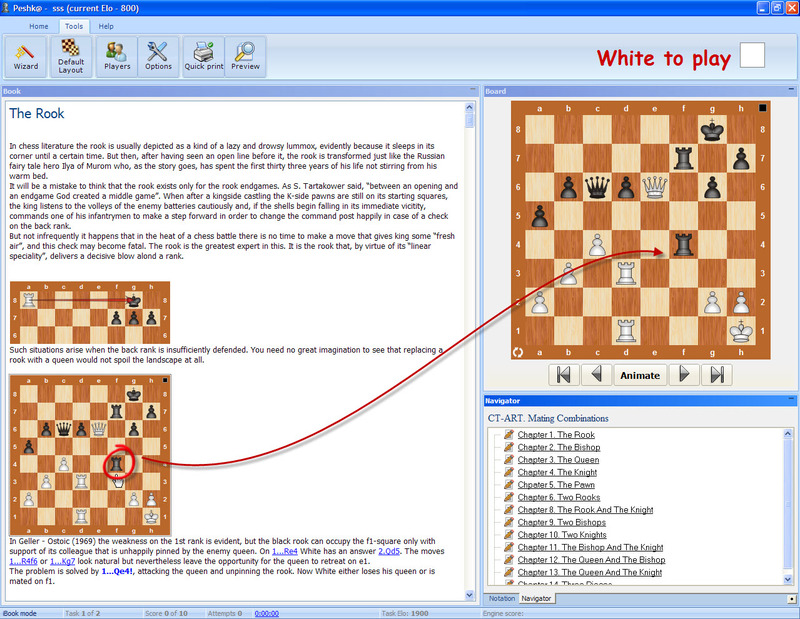 The most interesting positions can be viewed on the additional board and played against the built-in chess program. The training course is prepared by the famous coach Victor Khenkin and includes 1200 instructive examples on 14 topics, each of them illustrates the peculiarities of using certain pieces for mating combinations and 700 exercises (chess puzzles). The program will give hints if you make a wrong move. Improve your play by studying, practicing and solving the carefully selected exercises in CT-ART. Mating Combinations. Its ease of use let’s you focus on what matters most: your improvement.